The built-up roof (BUR) membrane is typically constructed of four plies laminated together with liquid hot asphalt bitumen and surfaced with ballast. The contemporary version of this membrane emerged in the 1920s and 1950s when organic and inorganic felts, respectively, gained prominence as the membrane’s plies. Historically, coal tar was the waterproofing agent in a BUR but has been virtually replaced with asphalt bitumen. This is why BURs are often referred to as “tar and gravel” roofs. Despite these changes, however, this membrane is built in much the same way: on-site with an asphalt bitumen kettle. Different reinforcing felts provide membrane rigidity and strength. The asphalt serves as an effective waterproofing agent. The aggregate ballast provides a tough top surface protecting from foot traffic and the sun’s damaging UV rays, provides wind uplift resistance, and a high fire resistance rating. The BUR holds a significant share of the market in new and existing roofs across Ontario. 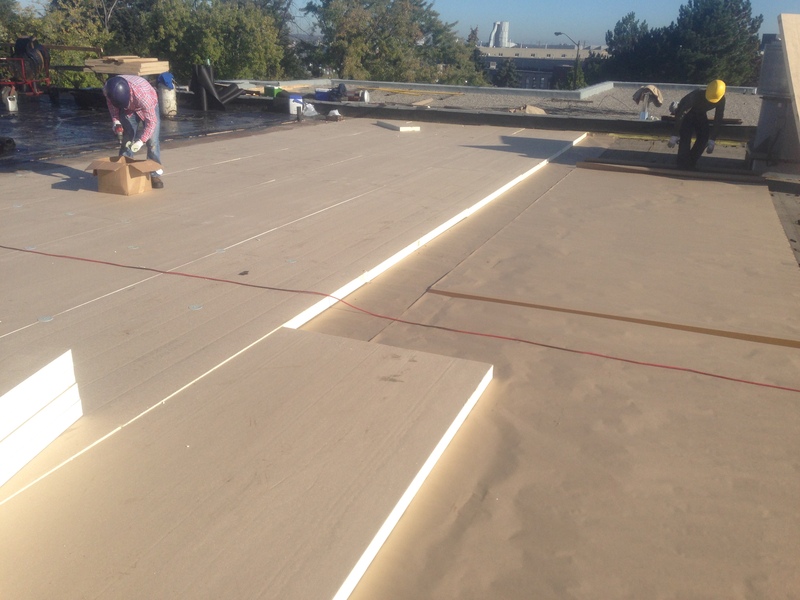 The built-up roof is the oldest flat/low slope-roof system and has the longest average expected service life, with the appropriate maintenance.